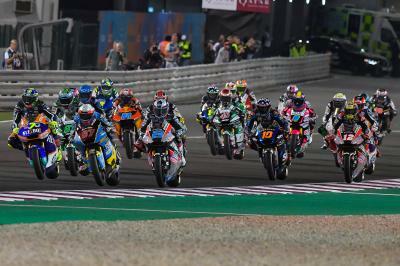 The VisitQatar Grand Prix broke a few records in every class and Moto2™ was far from an exception. Not only was it a history-maker in terms of pace, it was also one of the most stunning intermediate class races in recent memory as everything went down to the wire between veterans Lorenzo Baldassarri (Flexbox HP 40) and Tom Lüthi (Dynavolt Intact GP). All in all, it was a showstopper to kick the new Triumph-powered era into gear and we sat down with Triumph Chief Product Officer Steve Sargent after the race to debrief the season opener. First on the agenda? Every new beginning brings its own challenges and taking over from another manufacturer after eight seasons begs two immediate questions: the reliability and the racing. “Seeing all the bikes go out and have no major issues with them, that’s one of the major things we were trying to achieve,” confirms Sargent. Of the retirements in the race, not one was engine related and there was a single mechanical DNF – something that speaks highly of every technical supplier. 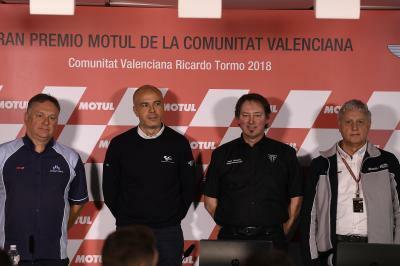 “We’ve tested the bike a lot; done a lot of testing on the engine rigs back at Triumph and done a lot of track mileage with top quality riders. It is, and if your memory for numbers is struggling, ‘close’ means 0.026 and 0.002 respectively. 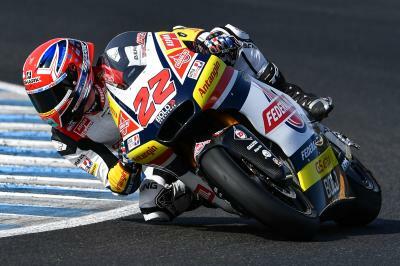 It wasn’t just close competition, however, there was also some stat-creating speed: the top eight on the grid were under the previous fastest pole position time (Folger, 2016), and in Jerez in testing Brad Binder (Red Bull KTM Ajo) and Sam Lowes’ (Federal Oil Gresini Moto2) best efforts would have been enough to put them on the front row for the MotoGP™ race there in 2004, just a tenth off the pole position of Valentino Rossi. Sargent says he sees no reason why that won’t be a repeated feat this season – nor one that won’t be continually attainable in the years ahead. Doing what you like – and learning how to get the most from the machine – is something else Sargent expects to see from now on as riders and teams continue to gain experience. “Qatar has been brilliant for us and we just want to carry that forward. We’re working closely with ExternPro to make sure they’re supporting the teams and we’re here for any assistance and technical advice, but I think it’s now down to the teams and the riders to start to really get to grips with the bike and see what they can do with it. A lot of the riders we’ve spoken to have said they think there’s more to come. They are still on a learning curve, they’ve only had one race on the bike, and I’m sure they’re all sat with their teams talking about how it’s gone and what they can do next time to improve on it and go from strength to strength. “What we can see is the data of the riders, and the riders who’ve been going quick in Qatar are some of the smoother riders. You can see the difference between some of the others who are maybe overriding it a little bit at the moment.” With data from testing and a Grand Prix under their belts then, the story of Qatar is far from all she wrote and there should be much more to come. Finally, after the first chapter, there’s one addendum. To end on another note – literally – a big fan talking point of the new era has been the noise. It was quite a day at the races and, for those lucky enough to be up close and personal – or eager enough to turn up the volume – it was also verging on a night at the opera. The noise from that will continue in the Gran Premio Motul de la Republica Argentina on the 29th to 31st March – make sure to tune in for Act 2 of the new era of Moto2™.